As the new year starts, there are many auctions, exhibits and art and antiques fairs on the horizon. One of the most interesting is the “Female Triumphant Sale” coming to Sotheby’s during Masters Week at the end of the month in New York. While Old Masters has traditionally been a category reserved for male artists, Sotheby’s will be recognizing the legacy of women in art with a curated selection of paintings, drawings and sculpture of 14 leading female artists from the 16th – 19th centuries. As gender equality continues to be addressed in many other venues, the art world is slowly catching up. You may remember the Elisabeth Louise Vigée Le Brun exhibits at the Grand Palais and Metropolitan Museum several years ago (exhibition catalogue here). 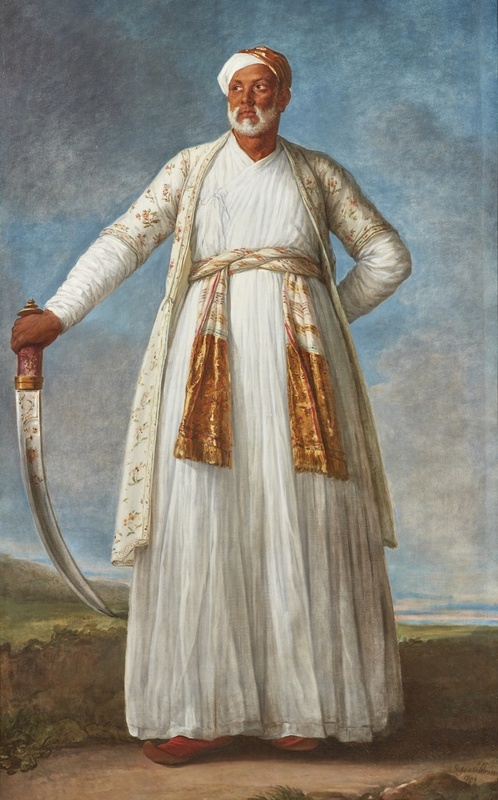 Her monumental portrait of Muhammad Dervish Khan, the late 18th c. Indian ambassador to France above, has an estimate of $4,000,000 – 6,000,000 in the upcoming sale. Well known as Marie Antoinette’s portraitist, she had an unusually successful career for a female artist of her era, traveling widely throughout Europe, painting nobility from Rome to Russia to London – her portrait of Mrs. Spencer Perceval (pregnant with the 11th of her 12 surviving children) above. Gentileschi, one of the most well known female artists of the era, often portrayed heroic women of biblical and mythological stories. When her Self Portrait as Saint Catherine, above, was bought by the National Gallery in London earlier this year for $4.6 million, it was revealed that it was only one of 21 by a woman in the museum’s enormous collection of over 2,300 European paintings. 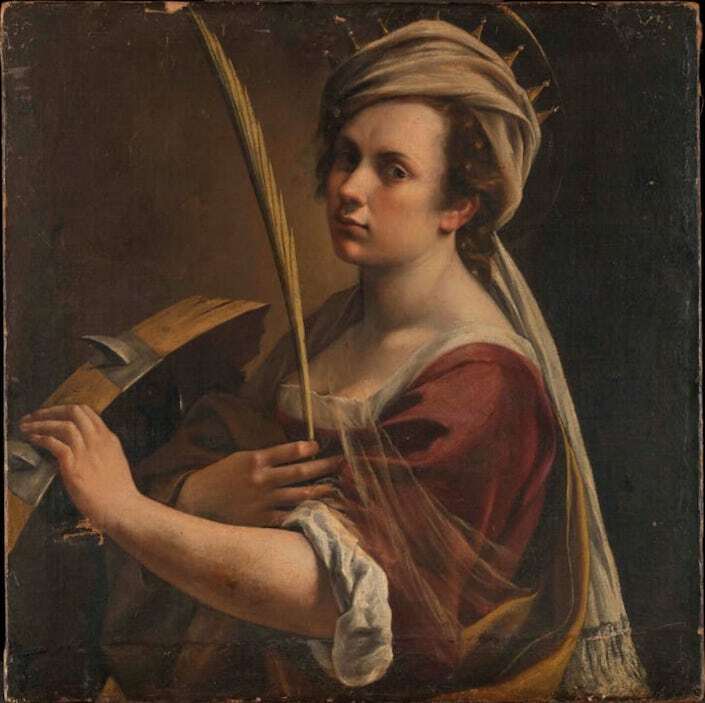 Gentileschi’s Saint Sebastian Tended by Irene, below, has an estimate of $200,000 – 300,00. As did many of the women in art of this era, both Vigée Le Brun and Gentileschi had artist fathers who encouraged their talents. And while prevented from apprenticing in the traditional system, their training at home ultimately led to being accepted by the artistic establishment – Vigée Le Brun admitted to the Académie Royale (one of 15 women in 150 years) and Gentileschi the first woman to become a member of the Accademia di Arte del Disegno in Florence. 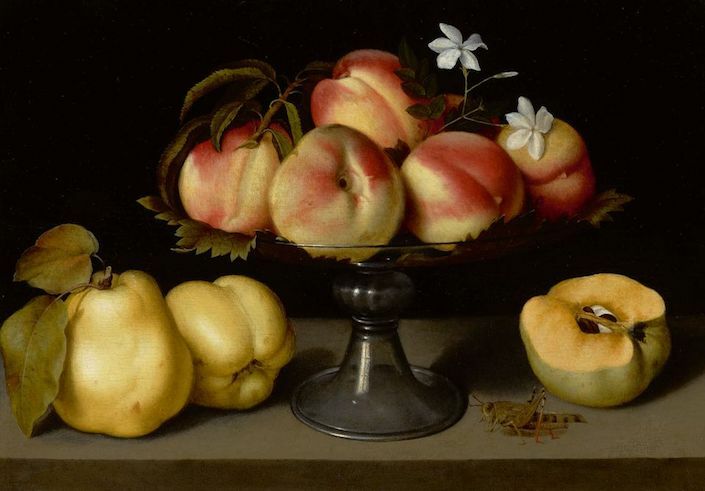 Also the daughter of a painter, and a contemporary of Caravaggio, Fede Galizia helped to invent the Italian still life in the early 17th century. A Glass Compote with Peaches, Jasmine Flowers, Quinces and a Grasshopper, above (estimate $2,000,000 – 3,00,000), is a luminous example with lovely subtle coloration and amazing attention to detail. It would be impossible to discuss the upcoming sale without including the talented and enterprising Swiss born Angelika Kauffmann. Once in London, she became close with Sir Joshua Reynolds and many other influential personalities. 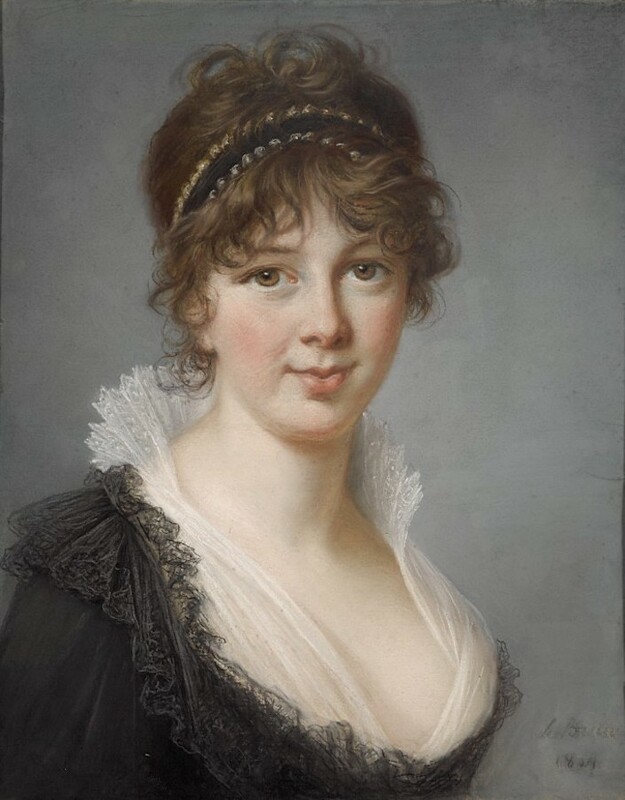 Charming, witty, intelligent and of course capable, she became a popular portraitist, especially with the wealthy and aristocratic. 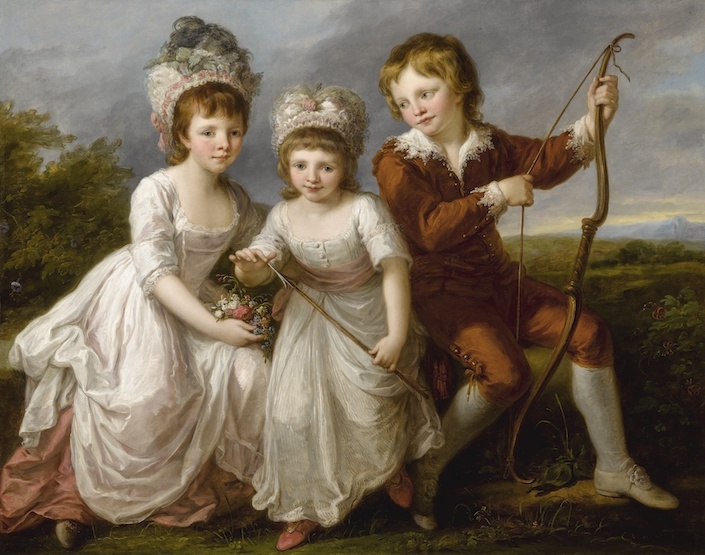 Her endearing portrait of Lady Georgiana Spencer, Henrietta Spencer and George Viscount Althorp (estimate $600,000–800,000), above, was a huge success, ensuring many more clients to come including Catherine the Great. She became one of only two female founding members of the Royal Academy. 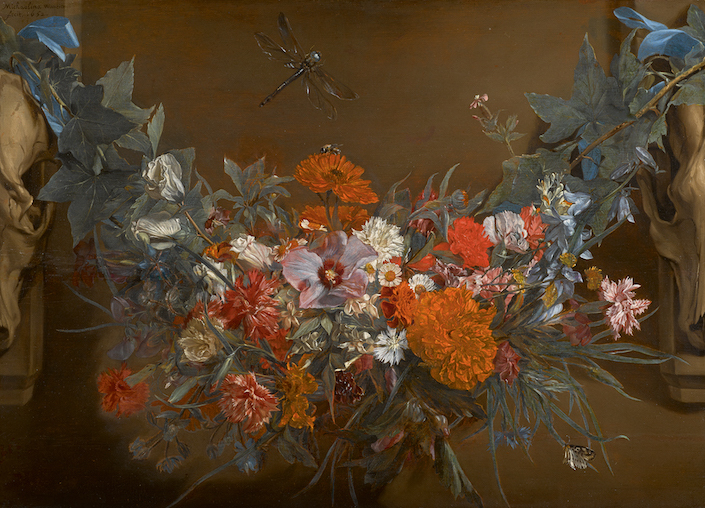 As more exhibitions focus on women in art of this era – Vigée Le Brun at the Dallas Museum of Art in January, Michaelina Wautiers (whose still life above is included in the sale) at Museum aan de Stroom in Antwerp, Artemisia Gentileschi in The Ladies of the Baroque at the Museum of Fine Arts Ghent, Lavinia Fontana at Museo Nacional Del Prado in Madrid and Berthe Morisot at the Musée d’Orsay in Paris – you may also want to consider the fate of more contemporary female American artists. 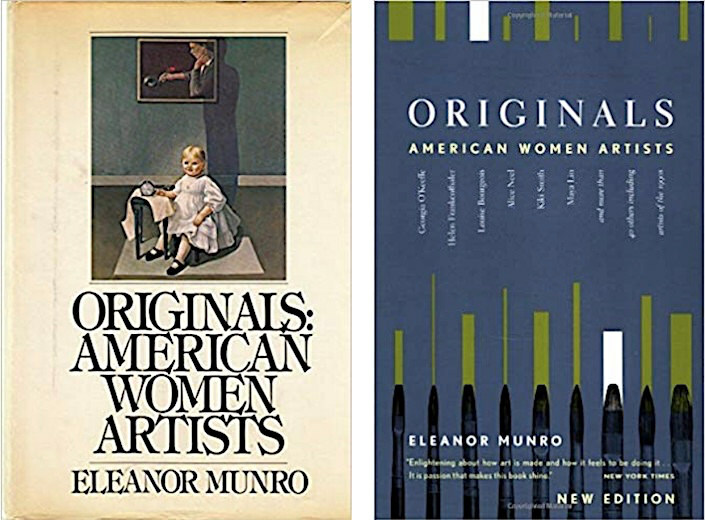 One of the books I can recommend is Originals: American Women Artists. Based on interviews author and art critic Eleanor Munro conducted in the 1970’s, it focuses on three generations of artists then alive (Mary Cassatt – more modern and independent than you might imagine – as a starting point notwithstanding), leading in with Georgia O’Keeffe and including such artists as Lee Krasner, Alice Neel, Louise Nevelson, Helen Frankenthaler, Joan Mitchell, Jennifer Bartlett and many more. I have the original book (above left) but there is a later edition that includes new artists of the 1990s such as Kiki Smith and Julie Taymor. While we are currently finally celebrating female Old Masters, it is rather shocking to contemplate that 1970 was considered the turning point for women in art in America. As Munro explains, “The Ad Hoc Women Artists’ Committee, formed that year to harry the Whitney Museum on it sexiest exhibition policies, led the way.” This was certainly an improvement over Lee Krasner’s situation the decade before as she was considered Pollock’s “wife who also paints.” So kudos to Sotheby’s – let’s continue to look back and to the future to both uncover and encourage a legacy of women in art. 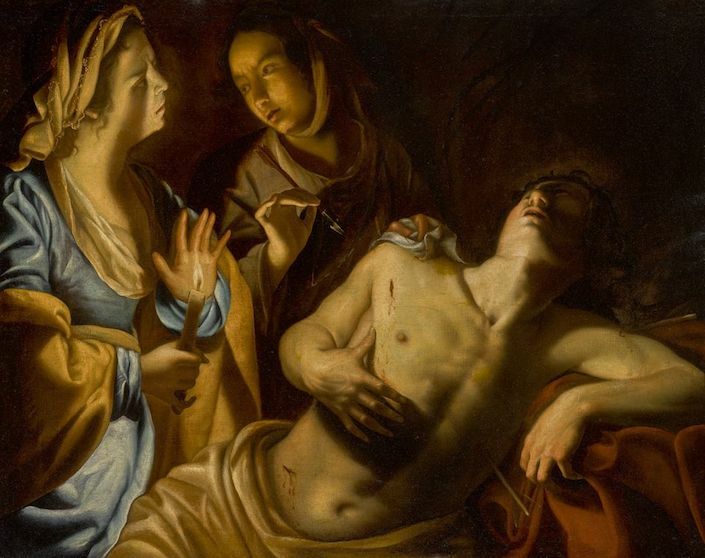 This entry posted in art, art history. Entry Tags: art, auction, Eleanor Munro, old masters, Painting, Sotheby's, women in art Bookmark the permalink. Thank you for this post! Will definitely read up. Is anyone familiar with the lovely portraits by American artist Sarah Miriam Peale (1800 – 1885)? She came from a family of famous artists ; Rembrandt Peale, Titian Peale, James and Anna Claypoole Peale. Have you seen Danielle Krysa’s New book “A big important art book (now with women). Maybe it is a trend. We can only hope. Stacey, thank you so much for this wonderful recognition of Women in Art. What a powerful message. Excellent post and an awareness to great female artist..Thank you.